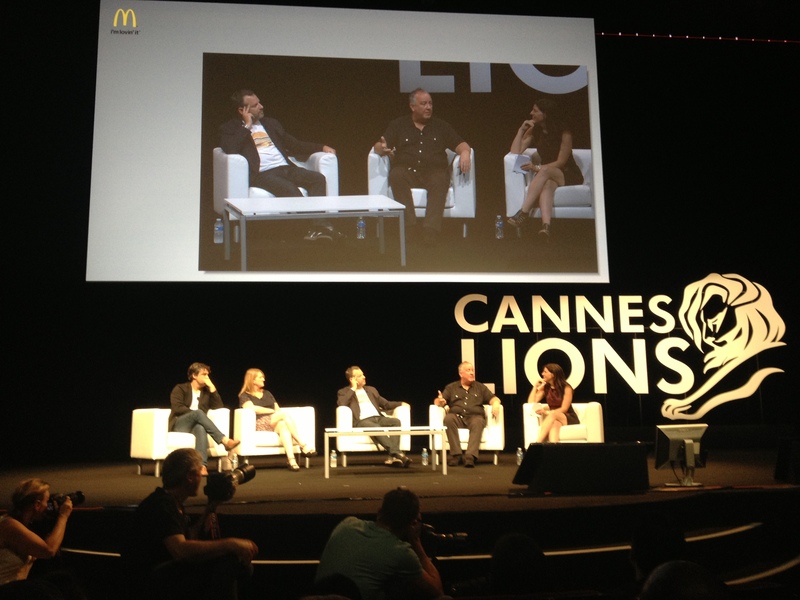 Congrats to Cannes Lions Creative Marketer of the Year – McDonald’s! The Cannes Lions “Creative Marketer of the Year” recognizes a brand’s long-lasting commitment to creativity. This year, McDonald’s was awarded top honors for consistently producing boundary-pushing creative work with the help of top, award-winning agencies Leo Burnett, TBWA, OMD and DDB. To talk about how they’ve kept the romance alive for more than four decades, McDonald’s hosted a lively panel discussion. Speakers included: Mark Tutsell, Global Chief Creative Officer, Leo Burnett; Kate Stephenson, President, Global Account Management Omnicom Media Group; Juan Carlos Ortiz, President Latin America, DDB; and Rob Schwartz, Global Creative President, TBWA. USA Today’s Laura Petrecca served as moderator. Matt Biespiel, Global Director of Brand Strategy at McDonald’s kicked off the panel by noting that the brand’s award-winning work sees greater ROI than non-award-winning work. The panelists then shared their perspectives around how to build a lasting relationship and what has been key to their long-term partnership – letting the agencies in, a global philosophy of storytelling and focus on collaboration. It was apparent that while these agencies are fierce competitors, they work together just as fiercely to make the brand’s creative work better each year. They also may have ketchup in their veins – we learned that Mark Tutssel and Juan Carlos Ortiz each served on the front lines, flipping burgers at McDonald’s to better understand the brand. Additionally, McDonald’s had a very visible presence in the Palais where a pop-up McCafé served hot coffee, iced tea and delicious macaroons for delegates looking for a quick bite in between panel sessions and workshops. Posted on June 25, 2014, in Cannes and tagged Cannes Lions, Cannes Lions International Festival of Creativity. Bookmark the permalink. Leave a comment.